You’ve put in the work to create a successful brand. You’ve managed to outshine your competitors and build lasting relationships with your customers or clients. And now, you’re ready to step out into the spotlight. When business is thriving, it’s totally natural to crave more. More visibility, more sales, more interviews, more success! After all, you’re crushing it – and that confidence propels you forward. Recently, a client of ours found himself in this exact same position. Scott Oldford helps high-impact entrepreneurs become the most relevant and omnipresent choice in their industry. He came to us as he was transitioning away from his LeadCraft business and into his personal brand, seeking to improve his overall quality and clarity. You see, in order for your brand to fully capitalize on the increase in traffic that comes along with major press, you’ll need a brand that turns heads – and more importantly, turns traffic into warm leads. The following *five* steps will help you ensure that you’re putting your best brand forward when you land that guest article (that you SO deserve) on Entrepreneur.com or Forbes. FIRST: Take a loooong, hard look at your branding. Be critical. Now’s the time to determine if your brand is cohesive. Do the outsides match the insides? Is your modern, intelligent, clever, or professional tone showing through to your audience? Or is your brand more like a scrapbook of ideas, messaging, and design that don’t quite align? It seems simple, but it’s crucial to pay attention to even the tiniest details. 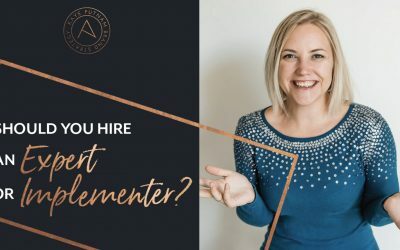 For example, I recently audited a website that had a very well done and cohesive home page… but the further into her site I dove, the more inconsistencies I found. The fonts alone were cause for a red flag – with more than 5 different fonts used in graphics, text, and accents throughout the site. While it may seem like no big deal, this is just one of several elements that can make or break the professional appearance of your brand. You know how they say that you only get one chance to make a good impression? Well, when it comes to cold traffic, this couldn’t be more true. It’s absolutely essential that your brand is connecting on the most important levels, each and every step of the way. Let’s start with your website. Does it look professional and legitimate? Do you offer testimonials from clients for that extra bit of social proof? Are you showcasing reputable brands that you’ve worked with? Is the flow intuitive and easy to navigate? Social media is important, but remember: nobody expects you to show up EVERYWHERE. In fact, it’s better that you don’t. Trying to reach every corner of the web will leave you spread far too thin and will prevent you from showing up as your best self. Instead, choose the platforms that drive traffic and leads for YOUR best brand. Even if the first thing you do every morning is check Instagram, it doesn’t necessarily mean that Instagram is the best avenue for your brand to connect with your audience. Consider which social networks best align with your ideal audience, and pick 2 to 3 max to run with. Those few platforms you just chose? THOSE are the ones you should be linking to on your website and devoting your time to. Show off the channels that let you shine! Personal stories make connecting with your audience about a million times easier. But even though you know your stories like the back of your hand, it’s important to be strategic in how and where you tell them. Just like the oh-so-many other elements of your brand, your stories should support your strongest values and help you stand out. We encourage our clients to use their brand archetypes to shape their stories in an impactful way. For example, a Sage Archetype may write about their moment of truth – that sudden epiphany that cleared doubt and confusion, and made way for clarity. This is a story we tell often, especially as it relates to the moment I found archetypes. How can you make it interesting to your readers? 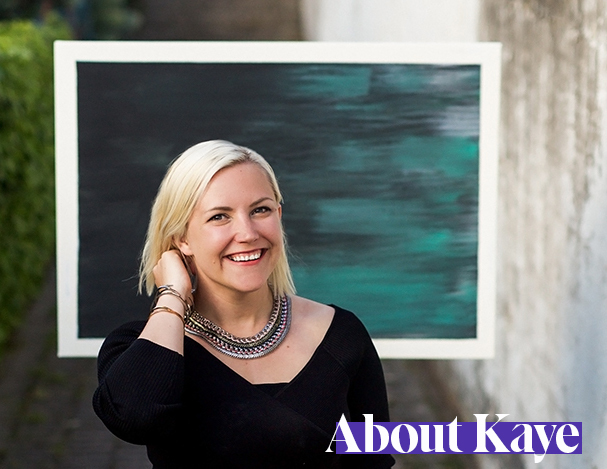 We build this story up by detailing the many experiments (and failures) of shaping the Kaye Putnam brand before archetypes came along… Back when I was mimicking my favorite entrepreneurs and scratching my head, wondering why what worked for them wasn’t working for me. It wasn’t until archetypes came into the picture that I realized I wasn’t seeing success because I was taking an inauthentic approach. By copying someone else, I was hiding away my own personal strengths, values, and beliefs. From there, consider the different angles of the story and tell it in a way that suits your overall brand personality. For example, if you’re a Caregiver, your origin story might be about a time in your life where you witnessed others suffering and sprung into action… Whereas a Hero Archetype may write about overcoming a huge obstacle in life, and what motivated them to reach the stage they’re at today. What’s YOUR story, and how can you tell it to resonate strongly with your audience? FOURTH: Revisit your content… ALL of it. It sounds daunting, I know – but it’s a worthwhile task! Content helps your people find you – whether it’s web copy, blogs, social posts, or podcasts. 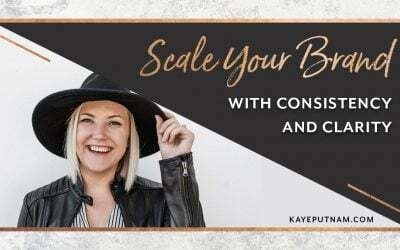 It brings traffic to your site and allows you to draw connections to your visitors (and get them to convert!). As you’re looking over your content, consider how it relates to your brand’s core personality and offerings. Are your product descriptions unique and captivating? Do you present different levels of your services or rely on one signature offer? Are your opt-ins optimized and ready to roll? Is there one cornerstone piece of content that you could use to drive opt-ins to your email list? Remember: the written word is still your word. If you’re going to gain the trust of your audience, you’ll need to give them a reason to latch on and give your content the attention it deserves. LAST BUT NOT LEAST: Do your research! Getting your name out there in front of new audiences is appealing; believe me, I get it. But one of the best pieces of advice I could possibly offer you is to be picky about where you’re published or promoted. 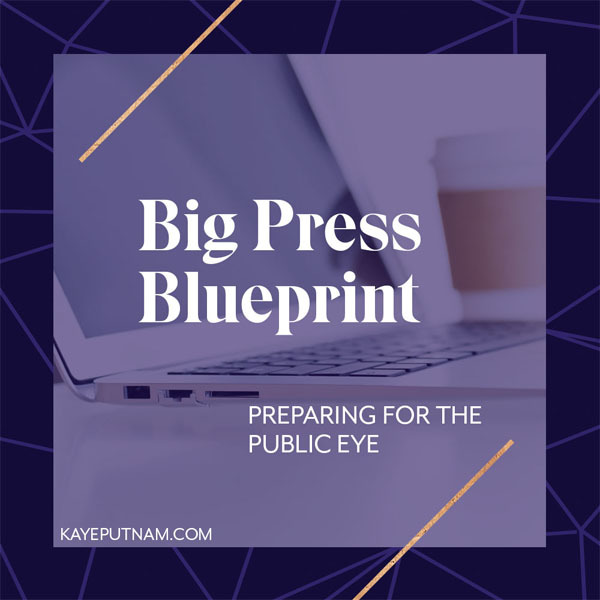 It may *seem* like a smart idea to get featured everywhere you possibly can, but in all actuality, you should be just as critical of your press as the people deciding whether or not you’re a good fit for their podcast, blog, or news site. It should feel like a good match. The bigger your brand gets, the more and more important this becomes. The truth is, with more success and followers comes more responsibility to your brand. At a certain point, it just isn’t okay to say “yes” to everything anymore. 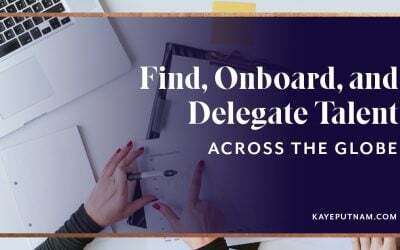 Instead, you need to leverage your best press – the partnerships that are a natural fit, where you can be found by your ideal clients, and maintain the same level of professionalism that your audience has come to expect. To find your best outlets for press, research brands and media sites with similar or complementary audiences. Will your audiences overlap? Or, more importantly, will you get in front of new ideal leads who may not have previously known that you exist? For partnerships with other entrepreneurs or brands, ask yourself if their products or services complement yours. How can you work together to bring both of your audiences additional value? 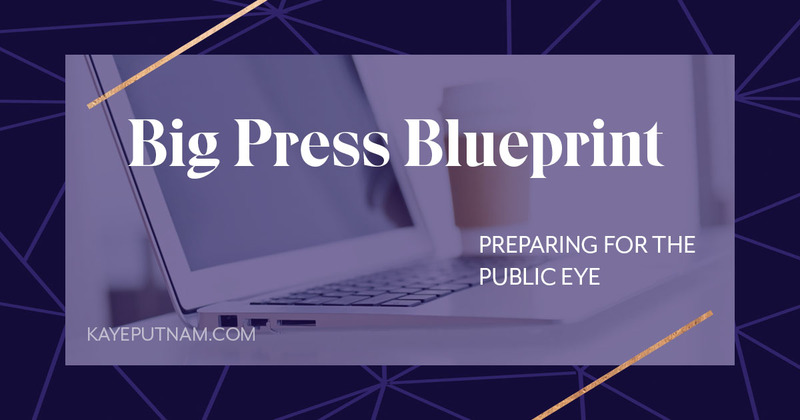 Preparing for major press isn’t a science. (Or, if it is, I guess I need to add Scientist to my job title.) Fortunately, with careful attention to detail, a little time and patience, and the right priorities, getting your brand ready for the spotlight doesn’t have to be a huge hurdle. 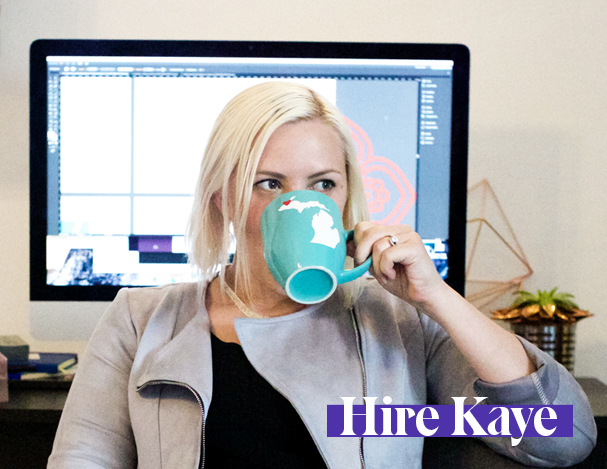 With a professional and cohesive web presence, a client-centric experience, relatable brand stories, and highly selective partnerships, you’ll be well on your way to the *RIGHT* kind of major publicity. 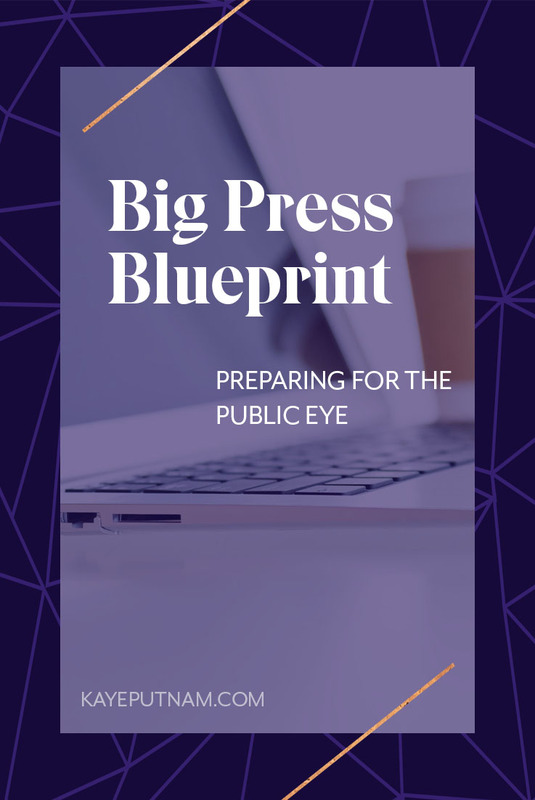 … and let me tell you – ideal press opportunities (and the connections you’ll forge through them) are more than worth the wait.